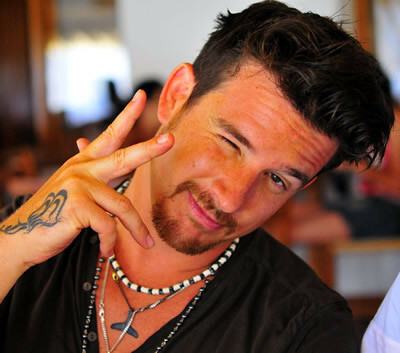 Following the success of Luciano’s Ushuaia parties in 2009, many of Ibiza’s clubs were clamouring for Luciano to play for them. In the end, he chose Pacha as the perfect destination to express his musical vision and in the summer of 2010 he launched his Vagabundos concept at the opulent club. The parties were a runaway success, with Luciano and his fellow Cadenza artists playing to a packed Pacha every Sunday night throughout the summers. Vagabundos is now a world-recognised club brand, celebrated for its wild and stylish carnival affairs that are powered by the very best DJs in house and techno. 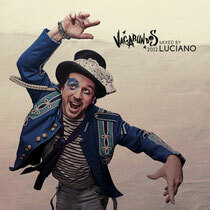 Now, you can feel that history, and a lot of Ibiza’s spirit, on Luciano’s recently released ‘Vagabundos 2012’ compilation CD. From house to techno, to human and machine created rhythms, sweet voices and warped vocals, blissful beach melodies and mind-twisting notes, classic Chicago beats and futuristic grooves, the mix is a deeply absorbing, multi-dimensional electronic fusion. Perhaps one of the main reasons for ‘Vagabundos 2012’’s apparent depth is Luciano’s increasing love for molecular mixing. He uses digital DJing technology to deconstruct tracks and re-construct them into any shape he chooses, allowing him to mix parts from up to four different tracks at once. Playing this way, Luciano is able to blend loops, basslines, vocals, hi hats, and melodies together in ways that vinyl or CDs could never allow him to do. Beginning with a delicate and magical introduction from Le K, the mix subtly evolves into a dubby techno loop from Substance & Vainqueur, which Luciano tinkers into a bubbly bass monster by working in Technasia’s forthcoming Cadenza track ‘Michigan Ride’. Nick Harris then joins the party, adding some gentle synth pulses and wild percussion, giving the mix a sleazy, late night feel. All of this happens before the sixth minute mark. Alex Gori, BBQ, Pompeya, DJ Wild – Luciano works in parts from all of those tracks before the 20 minute point, taking you from techno to house to deep house to percussive house and back to techno again. Nick Harris’ ‘Surfing With Kilgore’ pops up for a third time in the mix with DJ Wild’s ‘Catania Blues’, as the mix ebbs and flows through pulsating techno rhythms, cool vocals and dirty house drops from Dave Aju, Rhadow, Dani Casarano, El Pocho, and Zakes Bantwini and more. 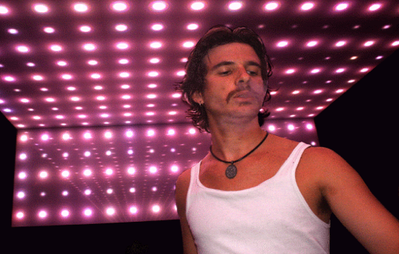 Luciano works in one of his old Lucien-N-Luciano melodic downtempo classics ‘Somewhere We Got’, providing the mix with a dreamy end-of-the-night conclusion. Out this week on Cadenza.